Join us as we celebrate new beginnings! The Waaswaaganing Indian Bowl Living Arts & Culture Center will be holding a Ground Breaking event on Thursday, August 4, 2016, at the Indian Bowl site. 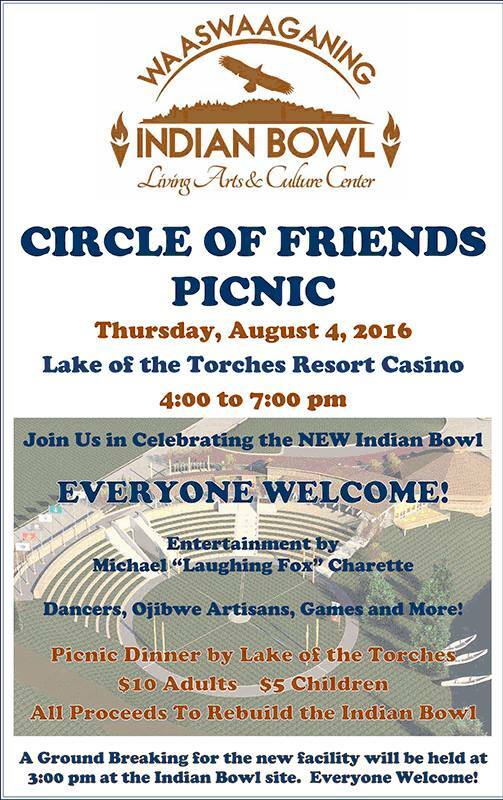 Following the Ground Breaking, we will walk over to the Lake of the Torches Resort Casino for the Circle of Friends Picnic. Everyone is welcome!